What is TUANA Keratin Smoothing Treatment? Keratin Smoothing is specially formulated revitalising and rejuvenating treatment for the hair that eliminates frizz and curl. The formulation restores and restructures hair by infusing a special blend of natural keratin deep into the damaged cuticle. The keratin is bonded into the cuticle by the heat of hair straighteners at a very specific heat to relax the hair’s sub-cuticle layer. How long does the Keratin treatment take? The Keratin treatment time varies depending on the length, thickness and texture of the hair that is being treated, but allow between 1 – 3 hours. What results can be expected after the Keratin smoothing treatment? The hair will be noticeably softer and smoother straight away. After the first wash you will notice that your hair will be more manageable, take less time to blow dry and will retain smoothness and shine. I have my hair coloured, can I still have this treatment? Yes absolutely, a great time to have the Keratin treatment done would be directly after colouring or chemically treating the hair. The colour will be sealed in, leaving the hair vibrant and extending the life of the colour. However, you must wait two weeks to colour your hair after the treatment. How many days after the treatment before the hair can get wet or be washed? You must wait 3 days (72 hours) before washing your hair or swimming following a Keratin treatment. Can I tie my hair back or clip it up during this time? No. The hair should not have any impressions made by using bands or clips prior to the first wash.
What should I do if I get it wet? Blow dry it and straighten it as soon as you can. What kind of shampoo and conditioner should be used? For optimum long lasting results use Keratin Smoothing Shampoo and Keratin Smoothing Conditioner. How often can the treatment be done? The treatment can be done as often as every 4 – 6 weeks if required although most people will have every 10 -14 weeks. 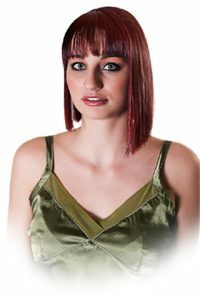 The Keratin treatment lasts 2 – 5 months, depending on the hair type and texture, provided the client follows all the after care instructions. Can the treatment be done on pregnant or nursing women? Can the treatment be used on children? Yes with great results, making hair tangle free and easy to manage!